Barnstable Succeeds even with a few things against them....First, the weather, at one point the tournament was thought to be canceled but then it wasn't . No Problem...Were still going! Second, A communication error and no bus to take the boys to Whitman Hanson , No Problem...Car Pool.. Third, forced to forfeit 3 weight classes and send only 11 wrestlers instead of 14. No problem..everyone stepped up! 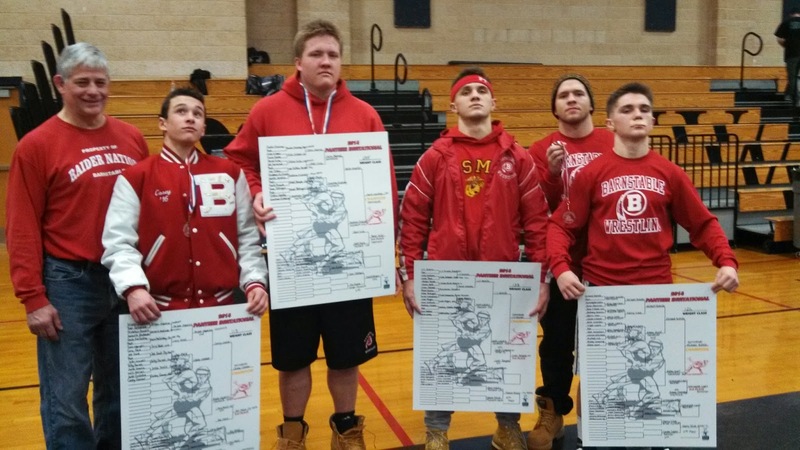 Barnstable locks down 4 first place spots, 2 fourth place spots, and 1 fifth place spot!